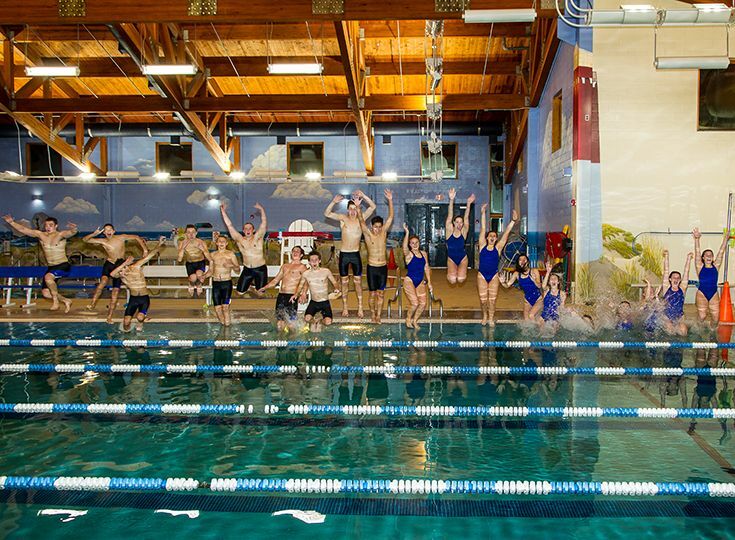 Since its inception, the swim team has competed on the co-ed level due to a lack of roster size. Girls would compete against boys in individual races and every relay team needed to have at least one boy and one girl. This year, however, marks the first time in school history that Gill will have separate boys’ and girls’ varsity swim teams. With a total of 20 girls and eight boys, there are now enough participants to fill the lanes and compete against other varsity programs. On the girls’ side, the Knights will be led by captain Rebecca Michaels ‘20 who last year became the first girl in school history to qualify for the NJSIAA Meet of Champions in the 100 yard freestyle. She placed 31st in the state and was also a 1st Team All-Conference selection in the 100 yard backstroke. Fellow captains Kelsey Breuer ‘20 and Caroline Grant ‘20 will provide strong leadership to the young roster. Newcomer Laura Howard ’21 along with freshmen Annie Chowansky, Maddie, Olivia Soultanian and Ella Quincy are also expected to contribute immediately. “We got a lot of new girls this year who have pretty extensive swimming backgrounds so that is going to be a huge boost to the team,” said Silbernagel. The boys’ team will look for leadership from their group of captains, including Christian Ernst ‘19, Preston Reep ‘19, Robert Brandl ’20, and Adrian Massuet ‘20. Gabe Myler ‘19, Evan Matthews ’20, Jonathan Osma ‘20, and Jake Baber ‘21 will also be relied on for a successful season. The Knights have seven dual meets on their schedule this year along with three championship meets. They first hit the water as separate varsity teams on December 12 against Blair Academy.